Discover the Philadelphia Outward Bound School (POBS) at The Discovery Center and learn from Daniel Astolfi of Citizens Bank (Executive Vice President, Middle Market Banking, Mid-Atlantic Region). Stronger Together: Corporate-Nonprofit Partnerships will offer insights for developing high-impact and mutually beneficial partnerships. Guests will have the option to tour The Discovery Center following the program. Daniel Astolfi, Executive Vice President, is the Regional Market Executive for the Mid-Atlantic Commercial Banking Business at Citizens Bank. The Mid-Atlantic Region includes Eastern Pennsylvania (Harrisburg and east), New Jersey, Delaware and down into Baltimore. Dan has over 32 years of banking industry experience, with the last 14 years at Citizens Bank. Commercial Banking is defined by client revenue size ranging between $25 Million and $500 Million. Responsibilities include growing and building relationships with a network of clients across varied industries and ensuring that appropriate products and ideas of value are introduced to support the clients business and strategies. 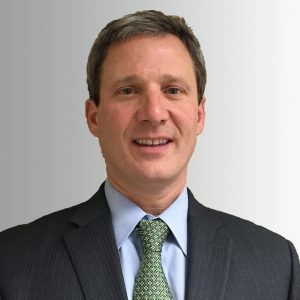 Dan is active in the community, and serves as a volunteer board member of the Economy League of Greater Philadelphia (Executive Management Committee), the Mural Arts Program (Executive Management Committee) and Business Leadership Organized for Catholic Schools (BLOCS). Dan earned a bachelor’s degree in Economics from Widener University and earned his MBA from Drexel University. He has lived and worked in the Philadelphia metropolitan area his entire life, growing up in Delaware County and now residing in Chester County, where he lives with his wife Helena and their three daughters—Isabella, Grace and Leila.